As the title says I am no longer riding my Silverwing. This is not because of ill health but due to an accident where my Silverwing was parked and a moron ( keeping it nice) backed over her and killed her. Lots of damage to her tupperware on both sides. The insurance company declared it a writeoff as the pricing on the parts was too great. Remember I live in Australia, Silverwings are very rare here and all parts would have to be imported thus putting up costs. I have looked for a replacement Silverwing on the net but as i said very rare so the chances of getting another is zip. If Kymco's are available you might want to look at the new AK550. Impressive! Glad to read the accident didn't involve you when riding, but losing your ride is a bummer. Wow, sorry to hear about your Silverwing. Well now its your opportunity to get a new scooter! Sorry to here of your loss, maybe a good lawyer may help with the extra cost? 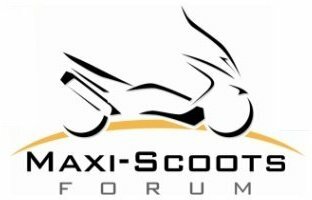 Looking for a new scoot might be kind of fun to try some others out? Sorry for your loss! Best wishes hunting foe a new one! Why are you responsible for the repair costs? The other guy's insurance should pay to replace your Swing. I don't know how insurance works in Aussie but here in the states they only give you actual value. He wouldn't get back enough to replace all the parts that were damaged. Same thing with my Majesty when I was hit from behind. So much stuff got damaged they wrote me a check for the value of the bike and that was it. It sits collecting dust in my carport. All banged up. Sorry to hear of your loss, at least you physically were not involved and are uninjured. With Silverwings being so rare down under perhaps it is time to consider something like a Burgman 650 or T-max. sorry to hear, shame you're in a different country, mines for sale. The hunt can be half the fun for the replacement though.